A couple months after I moved into my new house last summer, I met one of my neighbors who lived a few doors down. She and her three-year-old had just returned from buying the little girl’s Halloween costume, so I asked her daughter to name her favorite candy (so I knew what to buy at the store!). She shyly ducked behind her mom’s legs, so her mom answered instead. “Chocolate!” she laughed. “Anything with chocolate!” My eyes lit up upon hearing that. I’m a huge chocoholic too! 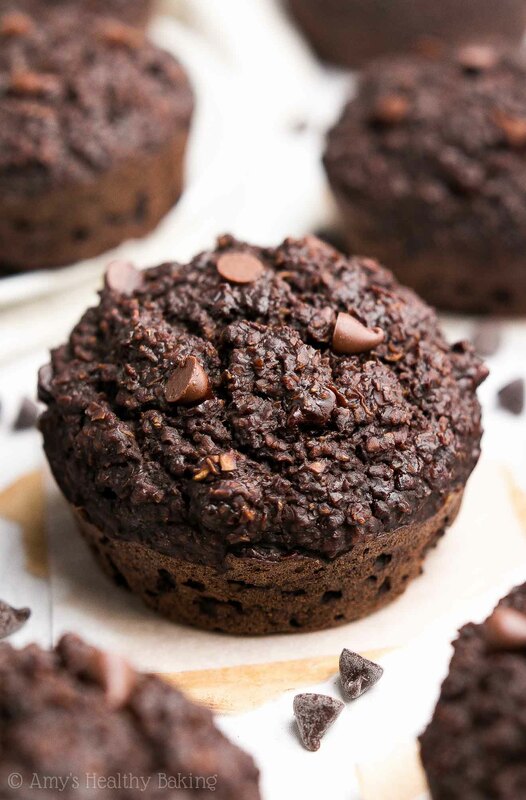 These Healthy Double Chocolate Bran Muffins! 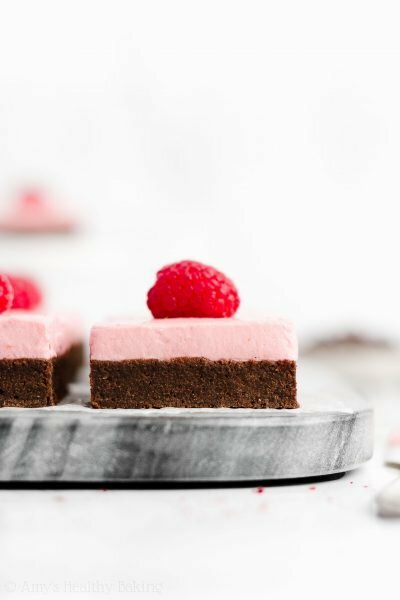 They were an instant favorite because they’re so chocolaty and practically fudgy like brownies! 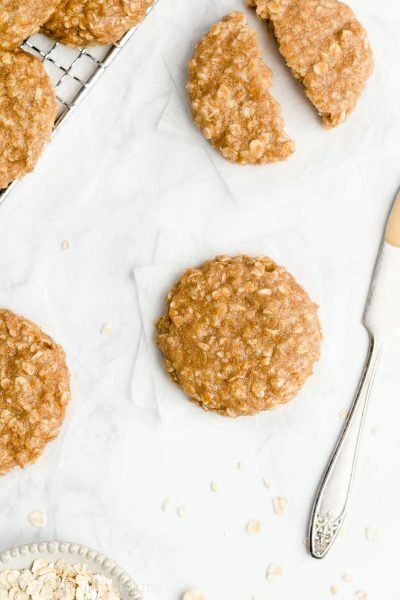 And her mom, a personal trainer, loved that they contained lots of hearty oat bran, no refined flour or sugar, and just 128 calories! 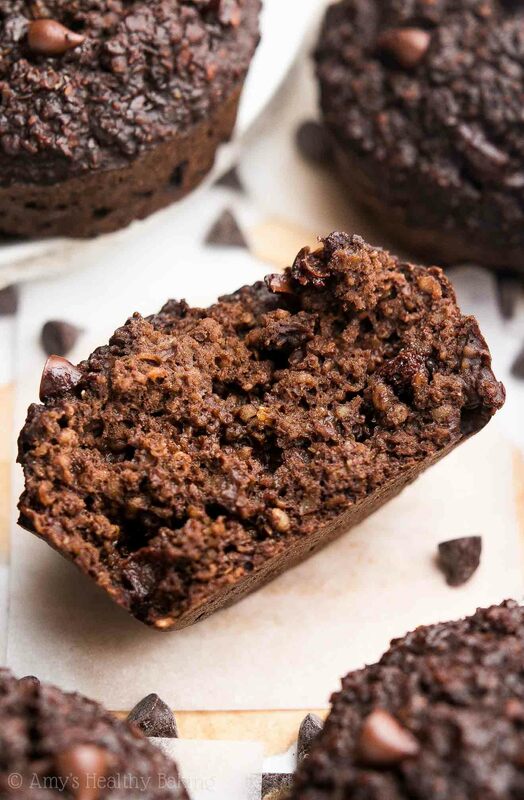 You can watch the episode below where I show you how to make these healthy chocolate bran muffins and get my recipe directly beneath the video. And remember to subscribe to my TV show here, so you’ll be the first to know when a new episode airs each week! 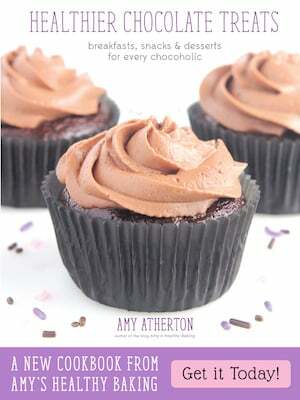 You can find my Healthy Double Chocolate Bran Muffins recipe HERE! 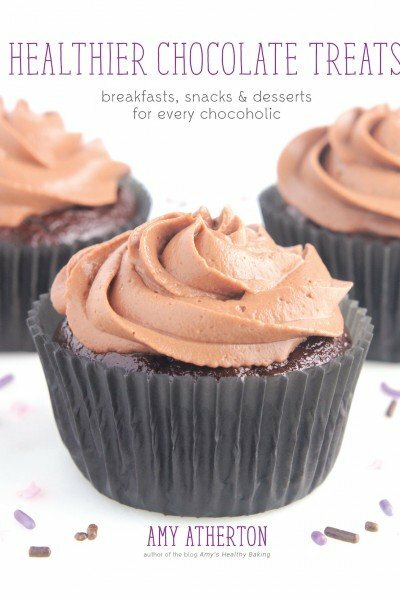 Can’t beat a fabulously chocolaty, brownie-like muffin treat! 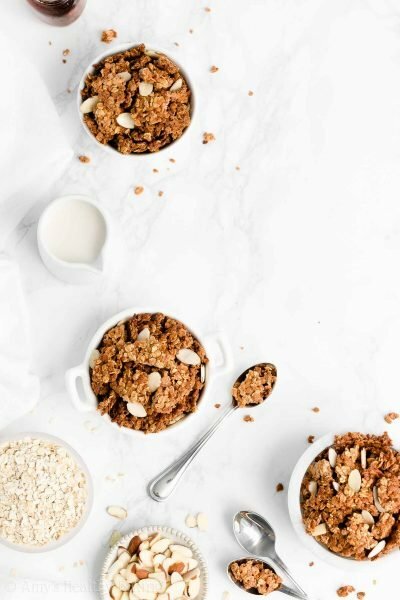 Love the use of Greek yogurt and molasses in this recipe; and of course, I love the latest YouTube TV Show episode – your step-by-step process is much appreciated, with how/when PRECISELY to add each ingredient (like with the alternating addition method). And tell that bug to stay out of the kitchen!!! Hahaha. Hi Amy. Your videos are great! However, you always have a story to tell us in your blogs, with each recipe. Why not also share some of your tales in your videos? Its just a suggestion, nothing negative. I do enjoy your recipes and the videos! I love your suggestion Fuz! I hadn’t thought about that, but I definitely will consider it in the future. 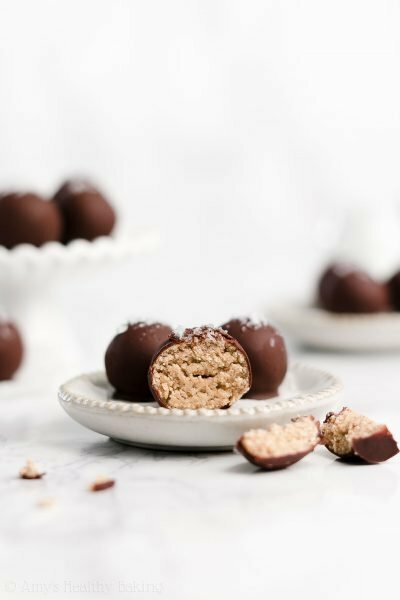 🙂 I truly appreciate your kind words about my recipes and videos — thank you so much!! I think it’s my favorite ending so far!! 🙂 Thanks so much, sweet pea!